Hello!!!! Oh wow! We had SUCH a great show today! It was actually sparked off by a rant on Instagram about why fashion designers refuse to collaborate with each other. 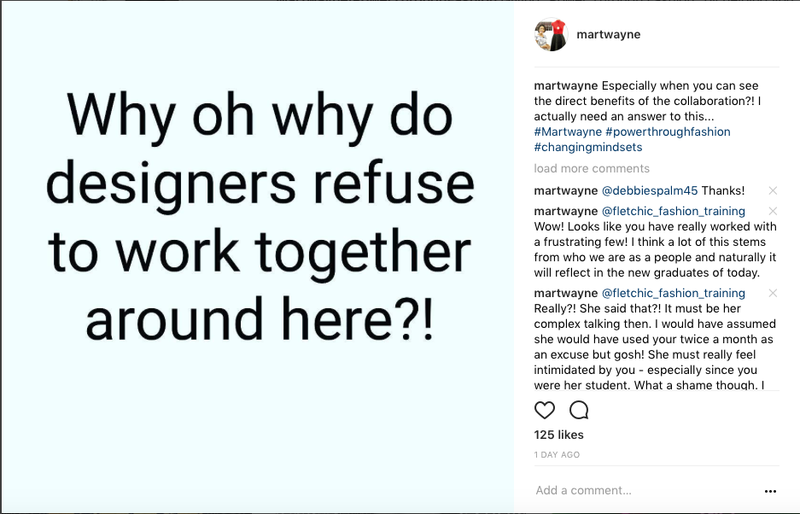 If you missed the conversation trail, you should join us on Instagram @martwayne and air your views as well! Then I watched another video I was tagged on where the speaker was talking about how businesses just live on survival mode and it further reinforced the the discussion I had yesterday. 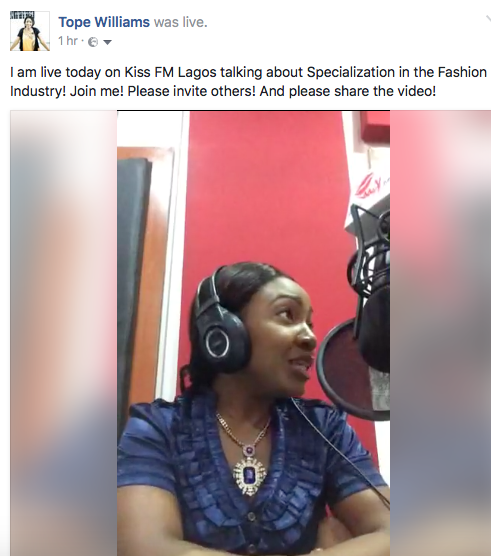 But the truth is we don't even specialize in certain areas so how can we even collaborate?! And that was what I chose to talk about today! I have also embedded the video for those who want to watch it here as well! Please air your views as well. We will also be tackling the issue of collaboration and the various ills that plague our Fashion Industry! Honestly, we need to move beyond this point! Hope to learn from you as well! It takes you STRAIGHT to our Paystack portal so you can register effortlessly! It will be fun I promise you and it will be really worth it! OH! 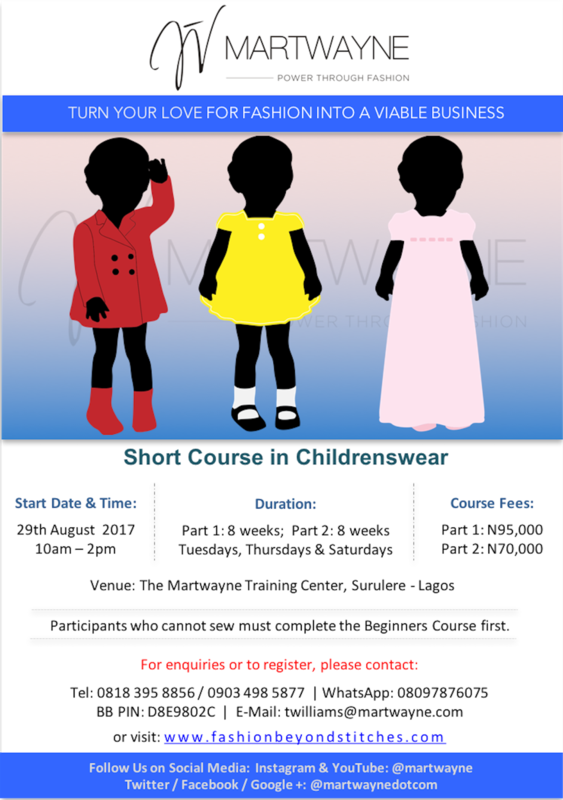 For those who want to specialize in Childrenswear, we also have a Short Course in Childrenswear coming up! Details will be available soon. But here is the flyer! 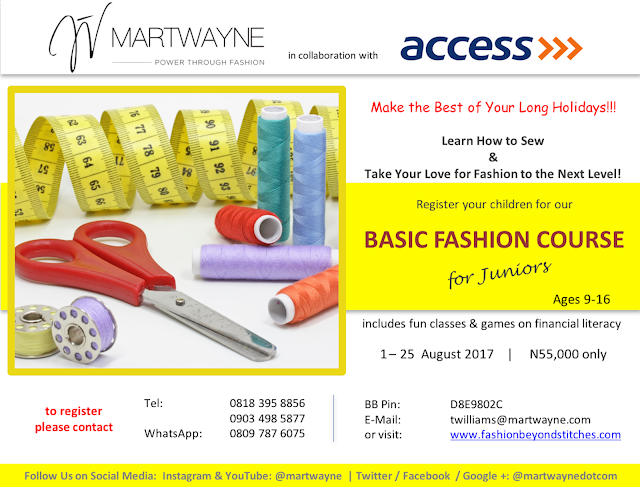 It starts 27 August 2017.